Star NFL running back who was named 2012 NFL MVP after a historic season where he helped lead the Minnesota Vikings to the NFC playoffs. He compiled over 1,000 yards from scrimmage in each of his first seven years with the team. After his time in Minnesota, he went on to play for the New Orleans Saints and the Arizona Cardinals. 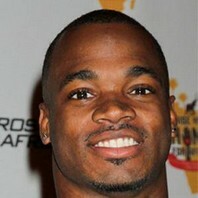 How much is Adrian Peterson worth?